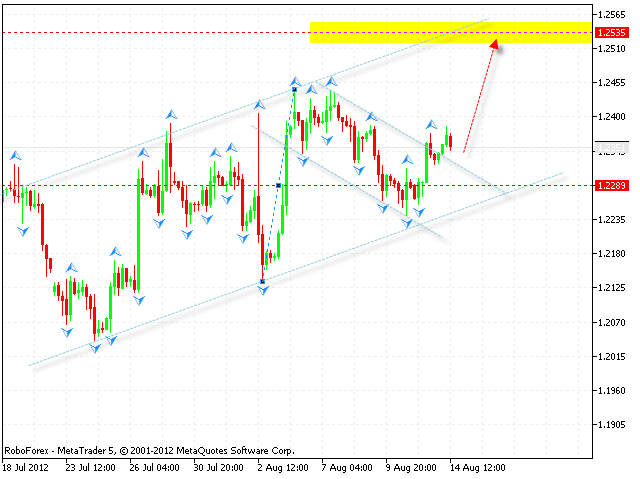 The EUR/USD currency pair continues moving according to the forecast, the price has left the descending channel. One can consider buying Euro with the tight stop. The target of the ascending pattern is the area of 1.2535. If the price falls down lower than 1.2230, this scenario will be cancelled. 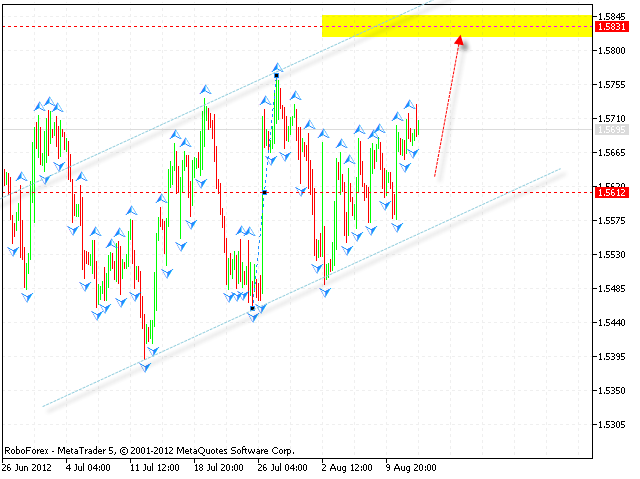 A very strong resistance level is in the area of 1.2450. 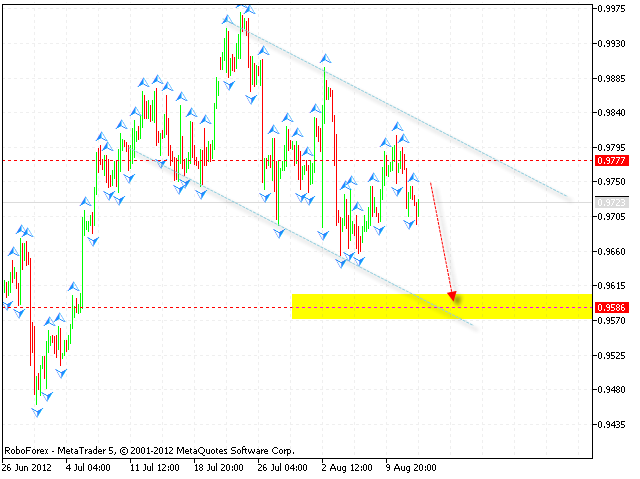 We recommend to increase the amount of long positions only after the price breaks the level of 1.24. The GBP/USD currency pair is also moving according to the forecast. At the moment the price is expected to be corrected towards the level of 1.5615, where one can consider opening new long positions. The final target of the growth is the area of 1.5830. 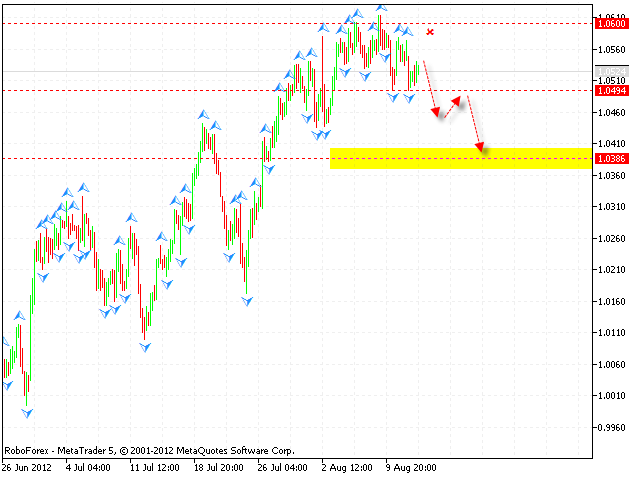 We recommend to increase the amount of long positions only after the price breaks the level of 1.5755. If the price falls down lower than 1.5575, this scenario will be cancelled. The USD/CHF currency pair is still moving inside the descending pattern, the price is expected to continue falling down from the current levels. The target of the fall is the area of 0.9586. One can consider selling the pair aggressively from the current levels. If the price grows up higher than 0.98, this scenario will be cancelled. We recommend to increase the amount of short positions only after the price breaks the level of 0.9690. 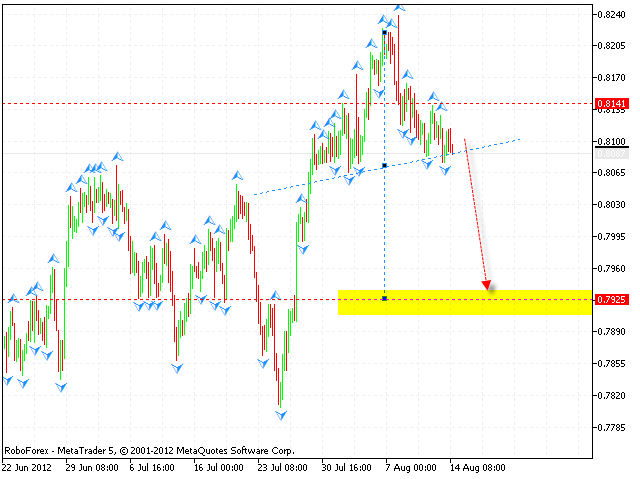 Australian Dollar has tested the support level in the area of 1.0495, but hasn’t fallen down any lower. One can consider selling the pair aggressively from the current levels with the stop above 1.06. The target of the fall is the area of 1.0385. We recommend to increase the amount of short positions only after the price breaks the support level of in the area of 1.0495. If the price grows up higher than 1.0620, this scenario will be cancelled. New Zealand Dollar continues moving inside “head & shoulders” reversal pattern, the price is testing the neckline. One can consider selling the pair aggressively from the current levels with the stop above 0.8140. The target of the fall is the area of 0.7925. We recommend to increase the amount of short positions only after the price breaks the support level of in the area of 0.8065. If the price grows up higher than 0.8170, this scenario will be cancelled.